Just when we thought it was safe to eat romaine lettuce on the grocery store shelves again, a new salad culprit is in store. 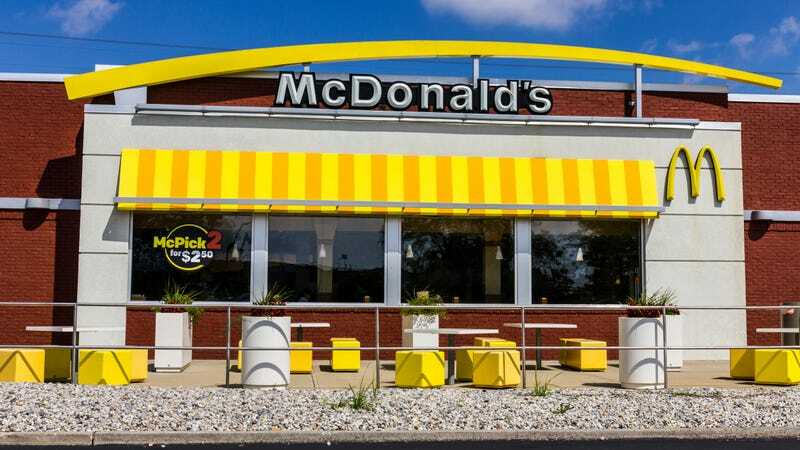 NBC News and other outlets report that a parasitic outbreak has affected McDonald’s in possibly 14 states, particularly in the Midwest, with 61 people taken ill. The total number of people sickened in the outbreak so far is 227. Unlike the romaine e. coli outbreak, this current trend is related to “cyclospora,” says NBC, “a fairly unusual parasite and [that’s] not easily removed by washing produce.” Researchers found in a few states that about one-fourth of the people affected had eaten a McDonald’s salad in the previous days. Fortunately, cyclospora is non-life-threatening; symptoms usually appear about a week after eating the affected food. In June, Del Monte recalled prepackaged vegetable trays in a similar outbreak. It’s a shame that people who were actually trying to eat healthier at McDonald’s wound up getting sick. But McDonald’s has pulled the salads from 3,000 stores until further notice.